If you really want to go outside of the normal, everyday fundraisers that most groups do, how about a Woman-less Beauty Pageant Fundraiser? 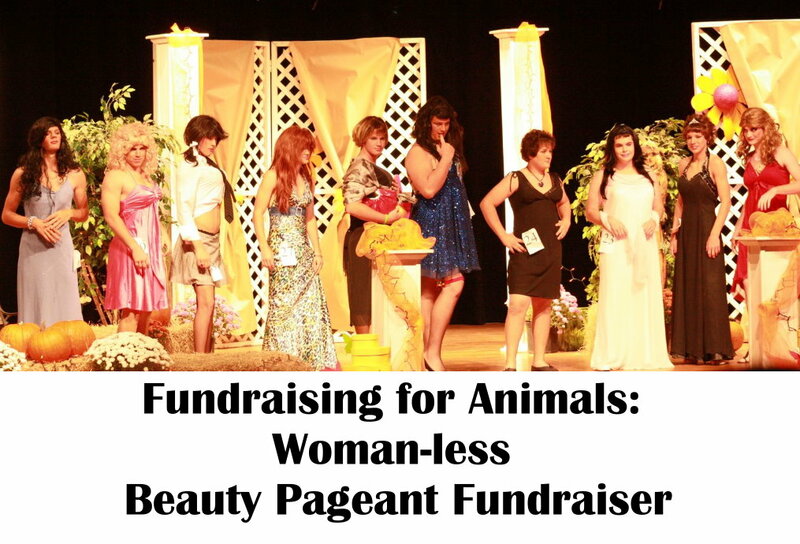 If you’re group has a lot of guys, or a lot of girls who can convince their guy friends to participate, then the Woman-less Beauty Pageant Fundraiser is the fun, unusual fundraiser for you! You’re guaranteed to be laughing throughout the whole fundraising event! And what could be more fun than that? So what will you need for your Woman-less Beauty Pageant Fundraiser? First off, you’ll need at least a half a dozen guys willing to humiliate themselves for your organization. That shouldn’t be too hard to find, should it? College age guys are your best bet, if you live in a college town. They love to humiliate themselves, and they tend to be great at it! What do the guys need to do? Become their best feminine selves. Dress up in a pretty gown, in full make-up and hair is all they need to do. Oh, that and possibly perfect their talent for the talent portion of the pageant. Volunteers are always needed. To help work the event, gather prizes for the event, sell tickets, and help clean-up afterwards. You’ll also need a venue. A club like the Veteran’s of Foreign Wars, Moose Lodges, etc. Or even a local banquet hall or fire hall would work. You’ll need some judges. Local business people, and or officials would be great for this, to help get the community involved. Or use your rescue group’s officers as your judges. Prizes are nice too, for the contestants. Ask local business to donate gift certificates, ask for basket donations, etc. A Chinese auction in the back of the room, is great if you have extra prizes. If your venue doesn’t serve food, serve up a meal. Add it into the cost of the ticket price. Or sell it separately. Advertise! Post about it on your group’s Facebook page, on local announcement and community pages. Tell your local newspaper about the event. Sell your tickets beforehand, as many as your venue will hold, if possible. If you’ve done your advertising, your ticket should sell themselves. People love to laugh, and well this is a pretty laugh-worthy event! If there’s still room, sell tickets at the door too. Enjoy your event, and try not to laugh too hard during the talent portion! Chinese auctions usually do great at events like this. It provides another way to raise funds, and gives your guests a chance to win great prizes. 50/50 drawings are also a great way to add a little income to fundraising events. Always check with your local laws, a lot of place you need to have a small games of chance license. Or a Reverse Raffle could help add to the hilarity of the event. Can’t get any guys to participate? Use dogs instead, and probably an outdoor venue, like local park or dog park. It’ll still be hilarious, and you can still do the talent portion of the event. All dogs like to show off their talents!